Are you are looking for remote maintenance for you Nortel Option 11 thru 81 or BCM system? Give us a call at 1-800-305-3377 to discuss your application. If your are searching for Refurbished Nortel phones and Nortel Phone Systems , you have come to the right web-site. Enhance the telecommunications capacity for your business—for less—with refurbished Nortel Networks and Nortel phone system solutions. We have Nortel quality replacement parts for the any large business telephone solution on the market. And don't forget our Great customer service. We carry most Nortel Networks Phone Systems components. At Craig Communications, we offer your business an economical solution that works within your s budget. Each of our refurbished Nortel phones gives the small or large business a quality product at a lower cost for any component they need to replace. Don't get rid of your system only because your components Refurbished Nortel Phones are needing to be replaced. We carry EVERY model of telephone for the Nortel Systems. All backed by a Rock Solid One Year Warranty! Refurbished Nortel Phones, Systems and Components- Your One Stop Shop for Everything Nortel! We are here to help you find phones and products from our HUGE inventory. We sell almost all Major brands. We don't have any sales quotas to meet from the manufacturers. We want to find the right system for your needs. Most of the Dealers in your area will try to sell you what they need to reach their monthly and yearly quotas. 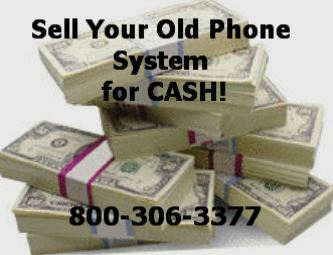 We just provide good honest down home customer service when selling you refurbished Nortel phones and systems. We want you to be a loyal customer and spread the word about Craig Communications! We were one of the 1st companies on the internet selling phone equipment with a BBB A+ Rating for 17 YEARS!!!!!! Let us help you find the correct Nortel Networks component you need to keep your system running. We offer both new and refurbished Nortel phones and system options for you to take advantage of our expertise and great customer service. Believe it or not we do carry New equipment on some of these old components. Call us to find out how we can help keep your old Nortel System alive for another 10 years!!!! Save money by buying quality refurbished phones. Remember, Craig Communications stands behind all refurbished phones and components that are shipped to our customers. Quality is Number One. If you are not satisfied, we will refund your money. There is a reason we have been in business for 17 plus years with a A+ rating from BBB. Call Today to see the difference. See why fortune 500 companies and small businesses all turn to Craig Communications when they need refurbished phones and components for most major brands. Our knowledgeable staff is here to assist you when you call and are looking for particular refurbished phones or components to help keep your System working after catastrophic events such as lightning strikes or power surges to your system. Don't be caught without a life line to a company that has the amount of inventory Craig Communications has on a daily basis. Next time you need refurbished phones or a component over night, call us. We are here to help you keep your system running for years to come. Do not take our word for it. Read some of our testimonals from customers who bought refurbished phones and components from us.